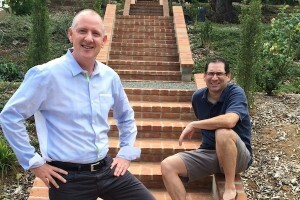 San Diego’s Avalon Ventures is taking the wraps off two new startups today, with each one getting as much as $10 million in Series A financing through the partnership that Avalon established early last year with GlaxoSmithKline (NYSE: GSK). Silarus Therapeutics is targeting a recently discovered hormone, erythroferrone, for treating disorders involving iron regulation in red blood cell production. Thyritope Biosciences is developing therapeutics for Graves’ disease, an autoimmune disorder caused by antibodies that over-stimulate the thyroid and cause excessive thyroid hormone production. Both companies have taken residence at COI Pharmaceuticals, the independent “community of innovation” Avalon established in San Diego with a fully equipped R&D facility to provide operational support and other services for the life sciences startups in Avalon’s portfolio. Avalon and GSK formed a “first-of-its-kind collaboration” in April 2013, agreeing to provide as much as $495 million (GSK agreed to bankroll as much as $465 million and Avalon put up $30 million) to start 10 new life sciences companies within three years or so. Hope both of them do well!